In constructing a model to recover concealed assets that have been fragmented, camouflaged and moved to the four corners of the earth, the selection of the location of the principal proceedings represents an issue of signal importance. Any judgment that might be obtained ordering an apparently dishonest obligor to pay will not be recognised or enforced in the jurisdictions where the fructus sceleris (the fruits of the fraud) have been reposed, unless the court which grants the principal award can be shown to have had sufficient in personam (or personal) jurisdiction over the judgment debtor to meet the high standard of review that is generally applied by foreign courts and tribunals, when asked to recognise a judgment of a court of a foreign sovereign. 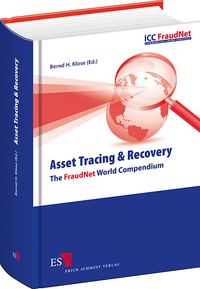 The concept of allowing a plaintiff to "trace" stolen or misdirected funds or property from one source to another in order to allow recovery of part or all of the funds or property is hardly a new one. Indeed, modern tracing law originates in English common-law doctrines, some of which were first applied hundreds of years ago. Yet, despite being a well established doctrine, tracing remains somewhat of an elusive concept. This is because tracing is continually evolving and is no longer limited to its origins as a tool used primarily in equitable claims, like constructive trust and equitable liens. Today, tracing, in addition to being an important predicate of recovery in the older types of claims, factors heavily in an ever-increasing number of causes of action, both judicially created and statutory.